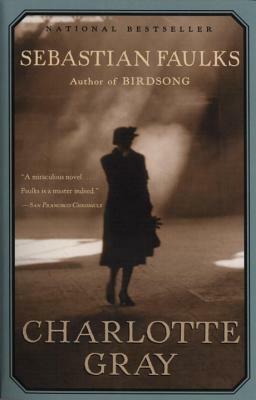 Charlotte Gray tells the remarkable story of a young Scottish woman who becomes caught up in the effort to liberate Occupied France from the Nazis while pursuing a perilous mission of her own. Sebastian Faulks worked as a journalist for fourteen years before taking up writing full-time in 1991. He was voted Author of the Year by the British Book Awards for Birdsong, which was also a New York Times bestseller. He is best known for his trilogy of novels set in France: The Girl at the Lion d’Or, Birdsong, and Charlotte Gray. He is also the author of Human Traces, On Green Dolphin Street, the Fatal Englishman, Engleby, and the James Bond novel Devil May Care. He lives in London with his wife and three children.